´Washangaze´ is the new single that recently re-branded Gospel artist, David Wonder recently crowned us with. The soft spoken artist was among the gospel artists who exited Bahati´s record label couple weeks ago. This was after a misunderstanding ensued. Looking back, it has been quite a while now since the gospel artist´s last release and David Wonder has decided to revive himself. EMB records has been accused of couple of injustices, some personal, others business-oriented and others family-related. 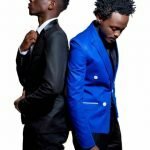 Unfortunately, word has it that Bahati had once forced Wonder to perform during a concert. Wonder had to perform whilst tending to a broken leg. We were given the freedom by the director to either stay or leave. I took this opportunity to launch the brand ´David Wonder´ However, according to Wonder, he left as he felt he needed to re-brand himself. The post Recently re-branded Gospel artist who exited Bahati´s label crowns us with new hit single appeared first on Ghafla! Kenya.